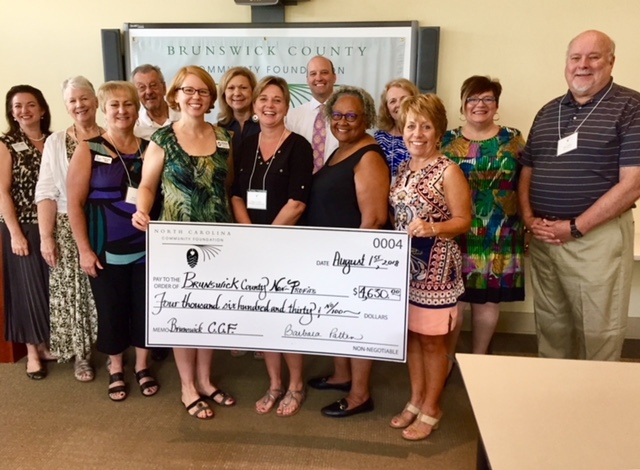 The board of advisors of the Brunswick County Community Foundation announces $4,630 in local awards from its community grantmaking fund, according to Barbara Patten, board president. This year, awards were granted at the August BCCF board meeting. Attending the meeting were representatives from the Community Counseling Center, Communities in Schools, Diaper Bank of NC Lower Cape Fear, Southport-Oak Island Interchurch Fellowship and Lump to Laughter.